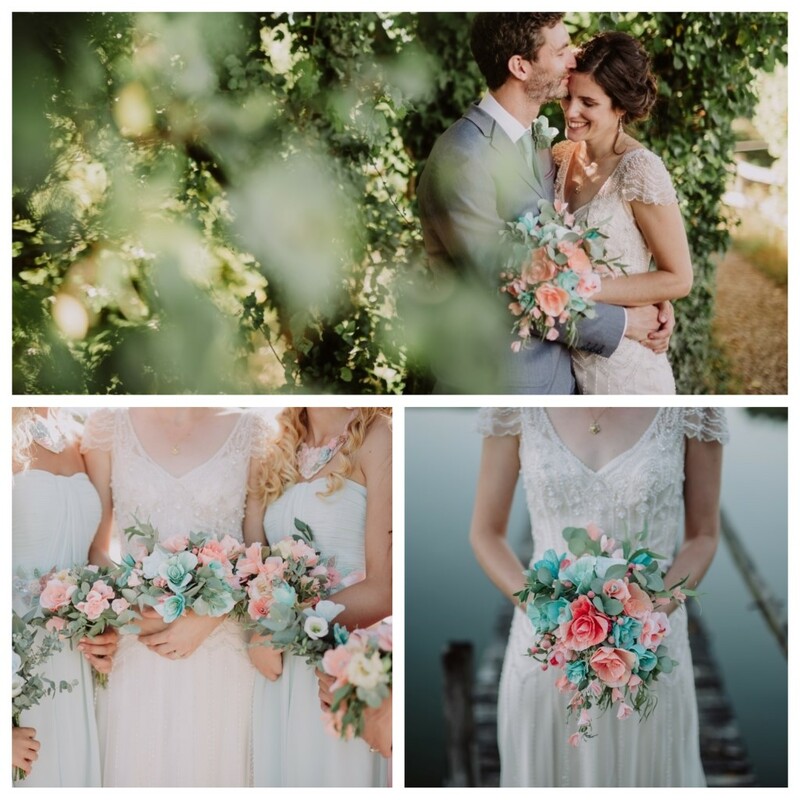 Today I am thrilled to spotlight on Petal & Bird who create bespoke paper flowers designed with your colours, style and theme to complete your wedding day and to treasure forever. Wedding Collections can include Bridal Bouquets, bridesmaid and flower girl bouquets, buttonholes for the groomsmen and page boys. 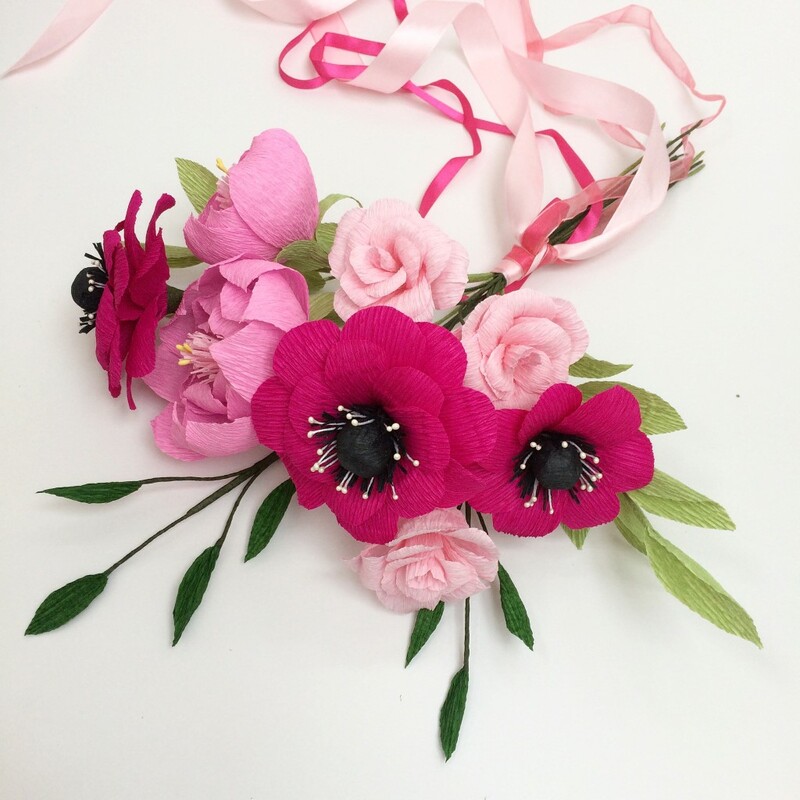 pinned or wrist corsages, flower crowns and hair accessories and cake flowers and venue decorations. Hello I’m Clare and I’m a paper florist creating bespoke lasting paper flowers from my studio in Chichester, West Sussex. I started Petal & Bird in the summer of 2017 but my journey into creating paper flowers all began when I decided to make the flowers for my own wedding in August 2016. I really wanted to hold onto as many memories as I could from our special day and I didn’t like the idea of real flowers fading away days after. Creating paper flowers was a great way to remember our day forever, as our wedding flowers now fill mine and my family and friends’ homes. I just love that I get to see my wedding bouquet every day still looking as fresh as when it came down the aisle with me. 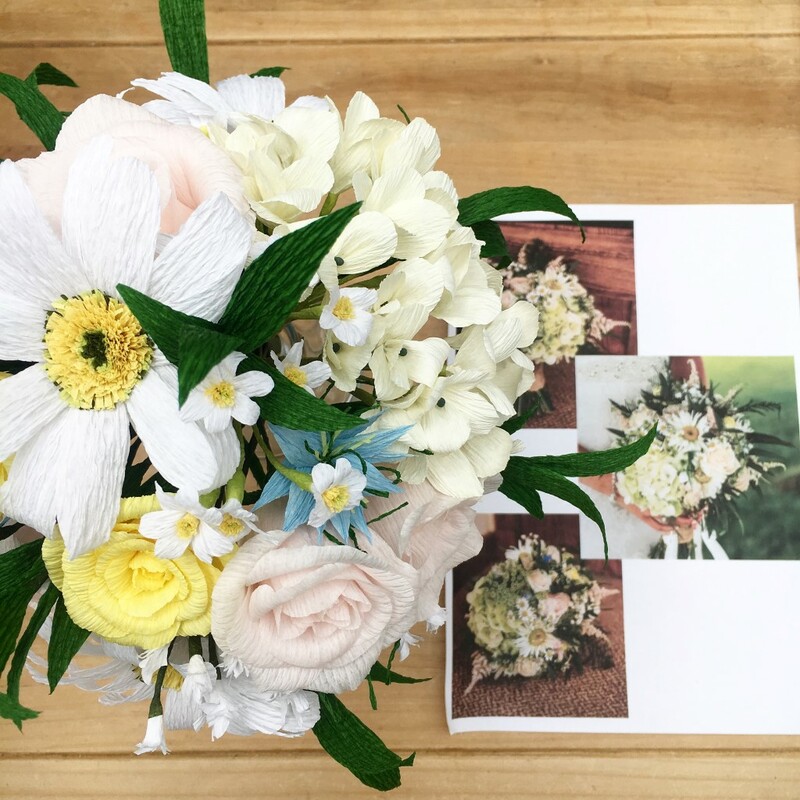 I loved the process of bringing life to each flower that I decided to open it up to everyone, so they could have lasting memories of their special days, events and occasions. I am constantly inspired by real flowers and nature. Seeing the constant change throughout the seasons, especially those in my Mum’s garden which has recently been blooming with beautiful camellias and now peonies. Every time I visit something new has popped up! I love colour, something that’s routed from my Textiles Design Degree, creating work that uses interesting, subtle and also bold colour combinations. Developing new flower shapes and challenging myself with recreations allows me to continually develop my skills. When creating new collections, I am motivated by Bride and Groom’s wedding ideas and through discussions with them bringing their ideas to life to make something truly unique for their special day. 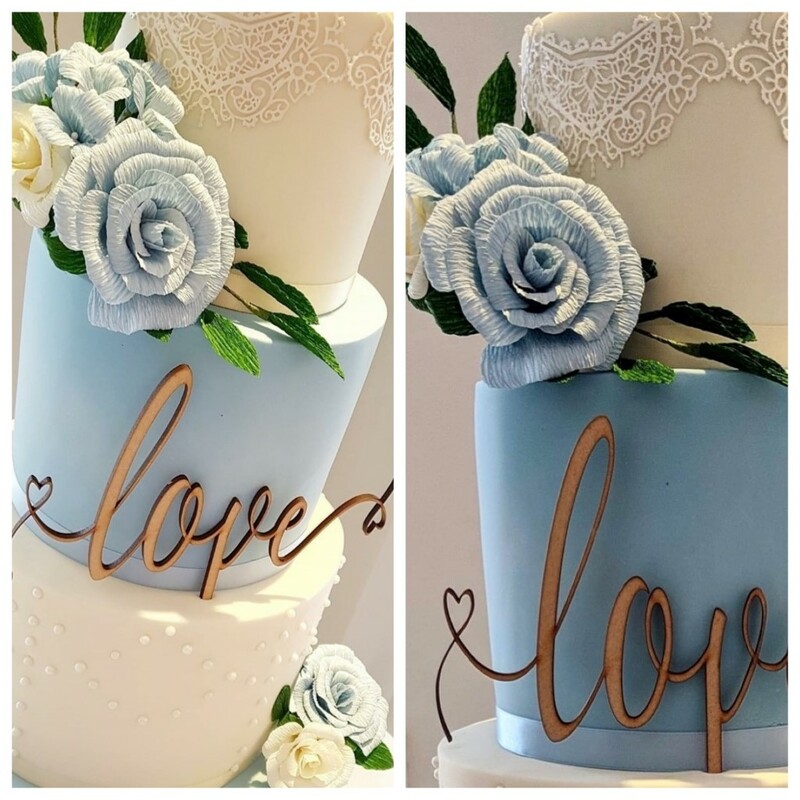 I love to follow different florists, wedding suppliers and bloggers on Instagram to see what is ‘on trend’ but my flowers are made uniquely for my Bride’s and Groom’s using their ideas and styles working together to realise their dream wedding flowers. 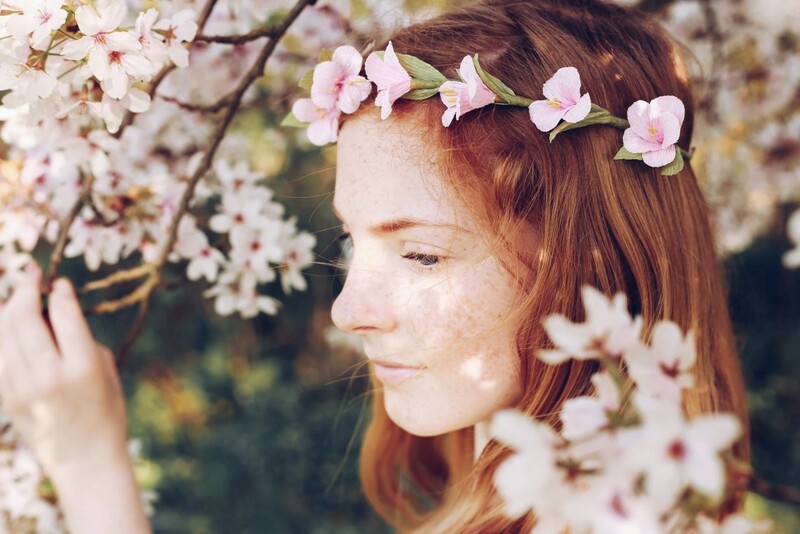 I love the boho, quirky, festival wedding look at the moment. There’s something so free and celebratory about it. Nothing is too structured and forced which is what I think a wedding day should be about. Its all about the celebration with the special people in your life around you in a location and vibe that means something to you both as a couple. I love that I get to create beautiful flowers every day! Whether it is a bridal bouquet recreation for a first (paper) wedding anniversary or a single red rose for Valentine’s day, I just love the process of bringing life to each petal all the way through to packaging up the special order for delivery! I love to hear about couples wedding plans and it’s all about the excitement of seeing or hearing from a customer when they receive their flowers. I get a little flutter of belly butterflies on my Brides’ wedding day and then it’s such a great feeling seeing the first glimpses of my paper flowers in action in their photos. I love living where we do in Chichester, in one direction we have the seaside where myself and my husband love to go kayaking, walking and for BBQ’s and then in the other up into the hills for exploring. When I’m not outside on an adventure or making flowers you’ll usually find me crocheting something. I’m currently creating lots of baby items for an exciting yummy mummy-to-be! My biggest achievement so far is seeing my new venture take off over the last year, hearing that people love my flowers and want to include them on one of their most important days of their life. Seeing my own wedding photos and my bridal bouquet featured in Perfect Wedding magazine in June 2017 was pretty special too! I would love to see Petal & Bird grow over the rest of the year. I’m really looking forward to my paper flowers featuring in future weddings and special occasions. I would like to work on some more photoshoots with local suppliers to showcase what is possible with my flowers and to see my flowers in local restaurants and cafes. I am also planning on running some workshops later in the year too. Without the support of my lovely husband Petal & Bird wouldn’t have been possible and I hope it continues to grow so that I can keep making flowers! As well as your Wedding Day there are other ways that Petal and Bird can help you…. Are you a destination Bride who wants something special that will travel well? 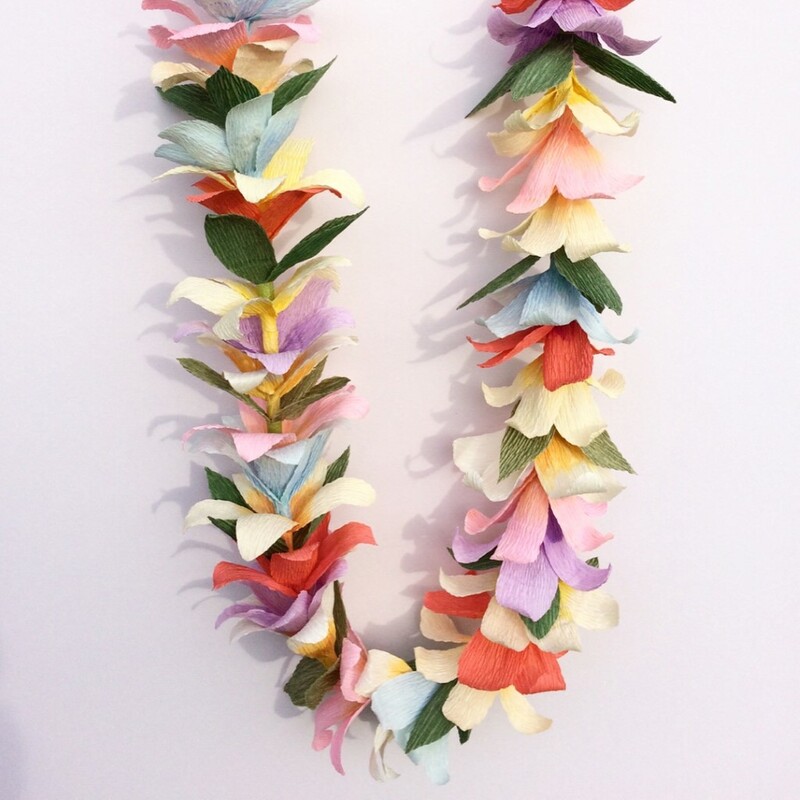 Petal & Bird paper flowers have recently made their way to Jamaica and soon Portugal! Already married but your Bridal beautiful bouquet didn’t last? Petal & Bird can recreate your bouquet for you and what a perfect gift for a wedding anniversary, the 1st perhaps which happens to be paper. I will work from your photographs to recreate the bouquet or elements from your flowers, so you can remember your special day for a lifetime. Bespoke flower orders are made to your requirements. This could be as simple as a single red rose for Valentine’s Day, a unique bouquet of flowers for Mother’s Day or as the perfect gift for the special someone in your life. 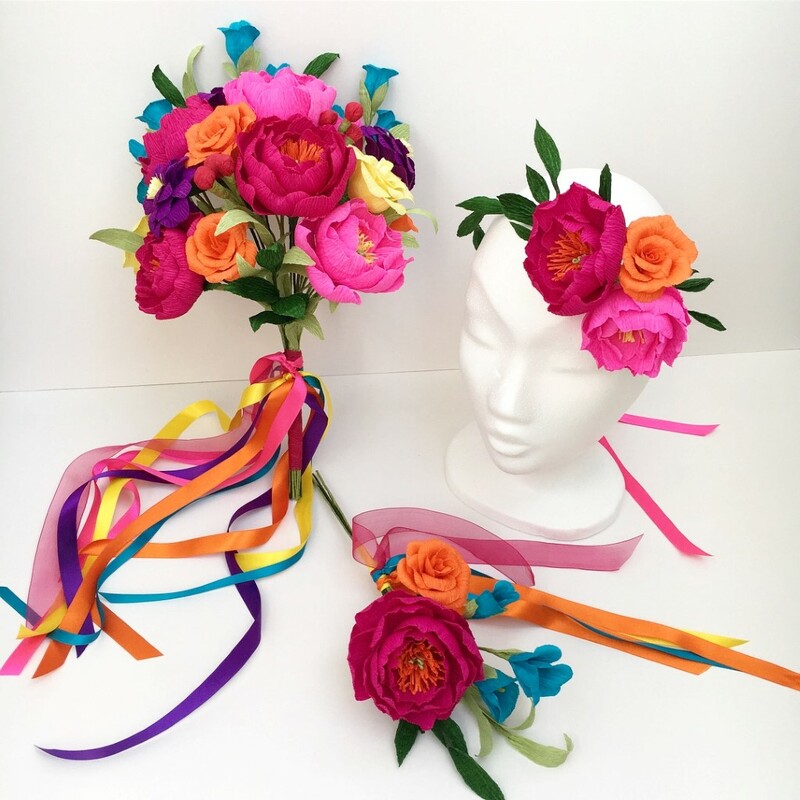 Flower crowns to wear at a festival or event. You can also have lasting flowers for the home. If you remember NOT to water them, keep them out of direct sunlight and occasionally pluff the petals Petal & Bird paper flowers will last a lifetime.